All things happen for a reason, right? 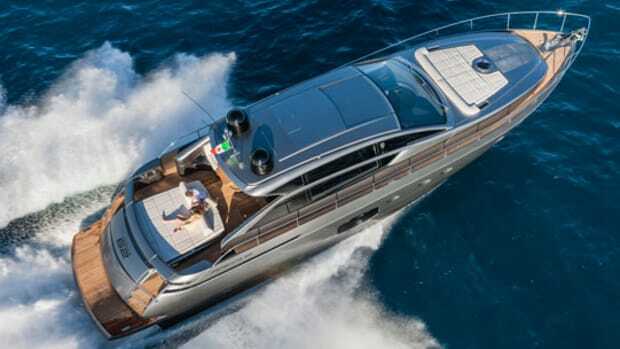 After a recent sea trial—actually two sea trials, as I will explain—aboard the PC 62 (previously known as the VG 60), an Italian-built catamaran from Ancona&apos;s V.G. Shipyard, I was beginning to see the light behind this oft-used and seldom-understood adage. My first test started uneventfully. 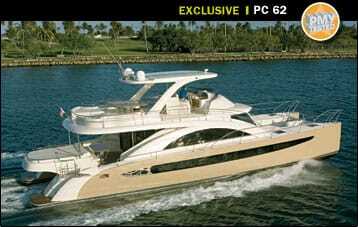 BRB Yachts, the 62&apos;s U.S. distributor, had the vessel running and waiting for me at a slip in Aventura, Florida. I quickly made my way into her cockpit by way of a port-side Besenzoni passerelle and noted that I could access the flying bridge from either the port or starboard side via built-in steps. I chose the former, and within seconds we were off. All was quiet until we reached Bakers Haulover Inlet. From the flying bridge our passage out to the Atlantic looked bleak: Between its rock jetties, the inlet seethed with confused, eight- to ten-foot seas. The overcast skies gave the waves an ominous appearance that I&apos;ve heard salts refer to as graybeards. I stood next to the captain as we eased our way into the slop at 1000 rpm, about 9 knots (10.4 mph). At this speed the seas pushed her around, especially when waves slammed between the hulls, which additionally caused generous spray to reach us up on the flying bridge. 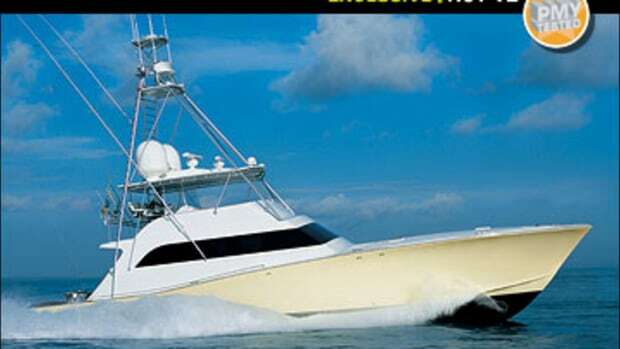 After we got outside and the swells dropped to four- and five-foot rollers, I switched places with the captain and throttled her up to 2000 rpm (14 mph), at which speed her hulls cut through the slop, producing a stable ride. But as I pushed the throttles farther forward to 2250 rpm, the analog VDO tachs stopped working. As the captain investigated, I brought her back to idle and put her beam-to the slop to see how&apos;d she react. I was impressed with her firm-footed stability. 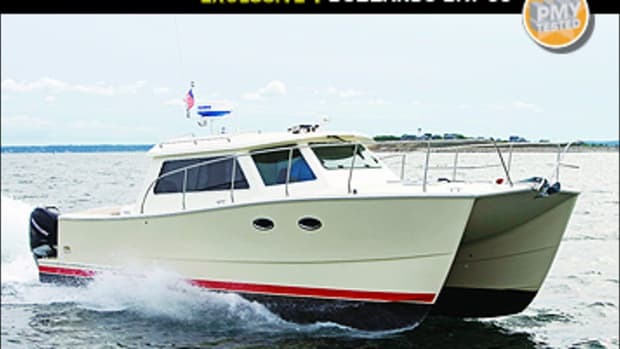 But when the captain returned and announced that the problem appeared to be an electrical snafu with the standard twin 420-hp Caterpillar C7s, our test abruptly ended. My next time aboard the 62 was markedly different. Again we were off the dock in a flash, but this time the inlet was azure blue and table-flat. As the 62 reached an average top speed of 27 mph in 25 seconds, I put her into a series of 180-degree turns. Her Marsili hydraulic steering was responsive but required some muscle; optional power-assist steering would have been welcome. The helm&apos;s forward and centerline position produced excellent sightlines everywhere but aft, where a large overhang blocked my view of the stern. Fortunately I was able to use the standard stern-mounted camera to view the situation on one of the two 10.4-inch Raymarine displays. During our speed runs, it was the 62&apos;s long legs that stood out: At 2000 rpm (14.3 mph), she registered just 0.88 mpg for an 840-mile range. When I backed off to 1750 rpm, the 62 got better than 1 mpg and a 1,066-mile range while making 13 mph. After I&apos;d analyzed these numbers, I realized how that electrical malfunction had actually been a blessing. By having to come back to Aventura to gather numbers, I was able to gauge how well the 62 fared in both dead-calm and eight-foot swells. And once I&apos;d had a chance to peruse her voluminous spaces and learned that she draws just 3&apos;3", I felt like calling up some friends and beelining it to the Berry Islands. I was particularly fond of two features. The first was the catamaran&apos;s galley. 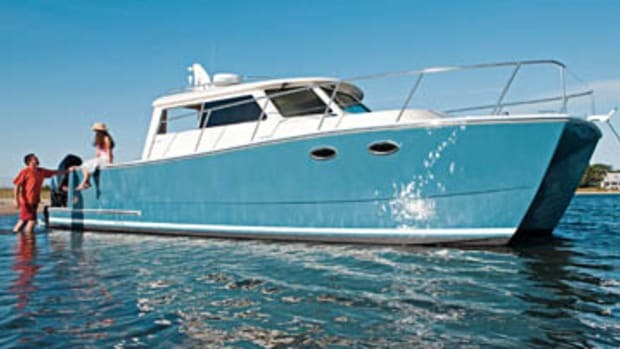 By eliminating a lower helm, the 62&apos;s designers could take maximum advantage of the 345-square-foot saloon-galley space. The forward galley is bathed in light from the saloon&apos;s long, half-moon-shape windows, forward-facing windows, and two roof hatches. Handsome white Corian countertops are set off by the light-stained oak cabinetry, gleaming, stainless steel refrigerator and freezer drawers, and European-brand appliances, all standard. The setup&apos;s great for entertaining, as the galley flows right into the saloon, its synthetic charcoal stone sole echoing the saloon&apos;s pair of C-shape, charcoal settees and dark-stained, oak sole. 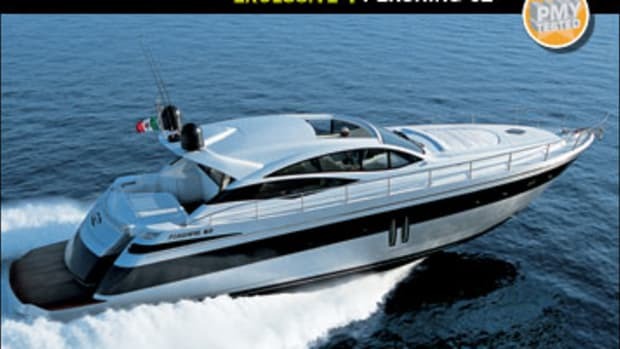 I also liked the yacht&apos;s optional below-decks layout, called the Owner&apos;s Model. The entire starboard pontoon is a master stateroom, including a forward head with shower and aft, queen-size berth separated by a sitting room-study. Accessed from the saloon via its own stairway, the area felt both private and airy, thanks to several Lewmar ports, light carpeted soles and oak cabinetry, and 6&apos;11" headroom. I did, however, note some potential problems here, the first being possible service issues with the European-brand appliances—a Frigonautica refrigerator-freezer and La Perla dishwasher. BRB&apos;s Joseph Hinson assured me that service is available stateside, and if the buyer so chooses, the 62 can be outfitted with more familiar names. I also was stymied by the saloon&apos;s electrically opening curtains. While the larger side windows&apos; curtains utilize this, the ones for the smaller side windows don&apos;t, and they&apos;re all but impossible to reach. I had to leap from the stairs that lead below decks to a small landing to shut them. I was assured that this would be addressed on future models. Overall I like the 62. 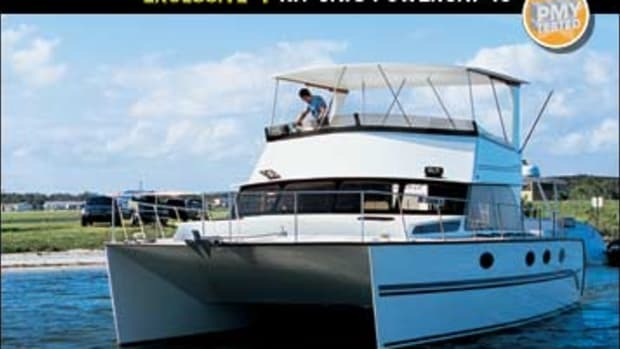 Her flying bridge and cockpit provide room for lounging in the sun or shade, and she can sleep six with the Owner&apos;s Model layout or eight in the four-stateroom, four-head version. She&apos;d make a formidable island-hopper for Bahamas enthusiasts, or I&apos;d even suggest picking her up in Ancona and wringing her out in the Adriatic Sea along Croatia&apos;s Dalmatian coast. 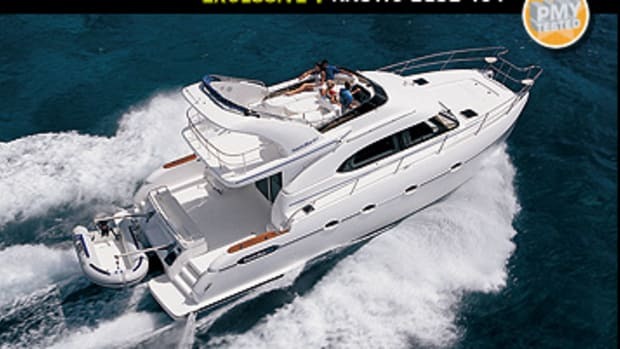 Either way, with a shallow draft, long legs, and good stability, she&apos;s a promising debutante. 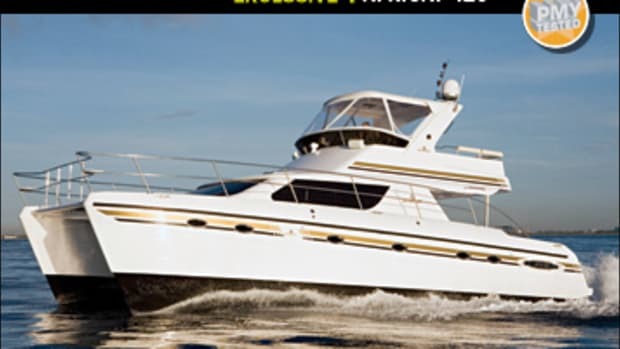 For more information on VG Shipyard, including contact information, click here. With a beam of 23 feet, the PC 62 has plentiful entertaining space. This becomes obvious as soon as you step aboard via her swim platform—the cockpit is graced with a dining table and a settee that will seat six for an alfresco meal. There’s also a dance-floor-size, 8&apos;10"x9&apos;7" sunpad. But when cruising, most people will likely spend time on the flying bridge, and the 62 is well equipped to handle a gaggle of guests here. 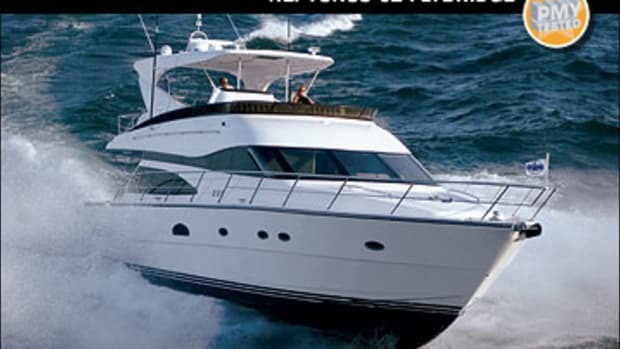 The wet bar, just aft of the helm, has an ice maker, stainless steel refrigerator, and two-burner cooktop, all standard; no more running into the saloon for sundries. 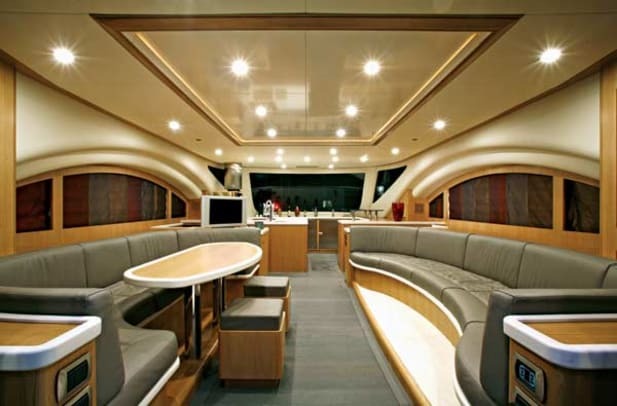 Two dining tables and two L-shape settees round out the flying bridge offerings, with both settees offering lounging room in the sun or in the shade under the hardtop. And there’s yet another sunpad just aft of the settees.—J.M.